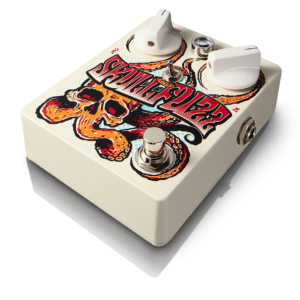 NEW BAD MOTHERFUZZER NOW AVAILABLE!!! 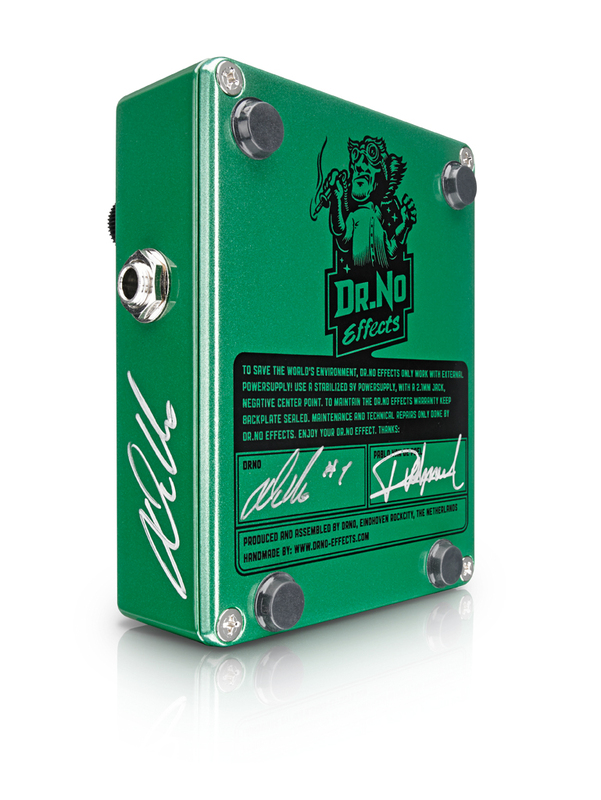 Dr.No launches a brand new effect in his allready legenday collection of Boutique pedals. 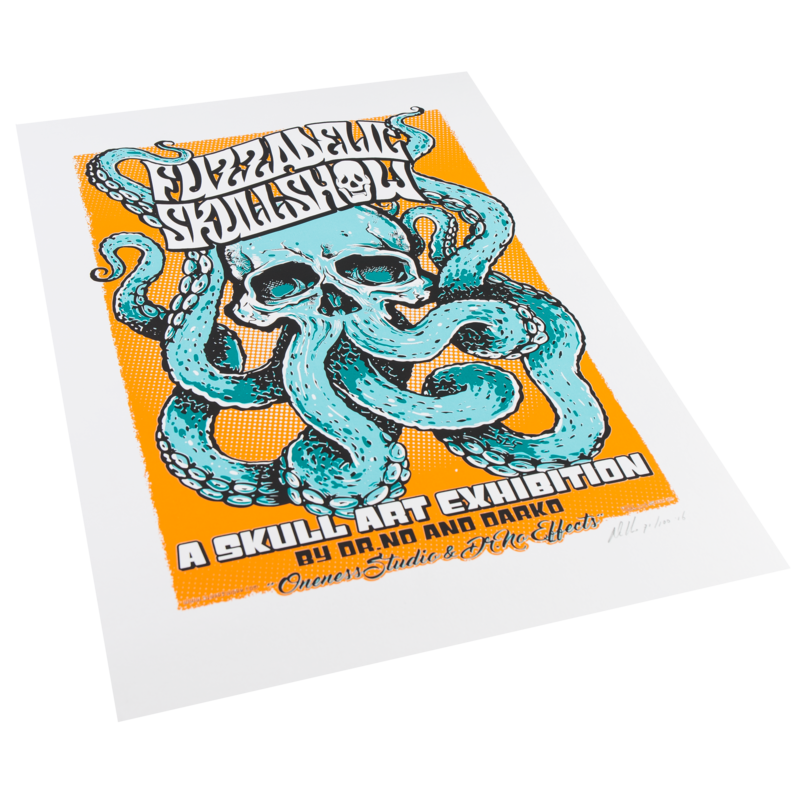 The Bad MotherFuzzer is the brother of the allready sold out Limited Edition of the Evil MotherFuzzer. Both are equiped with two powerfull Germanium Transistors that are of NOS (new old stock) rare availablity that aren’t build anymore since a long time. 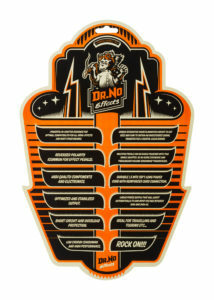 Dr.No found some for ya! 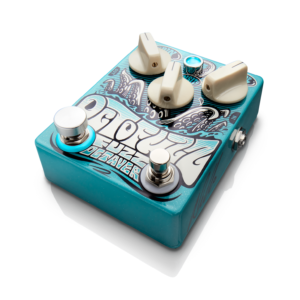 The Bad MotherFuzzer has two carefully hand selected “High Gain” AC-122 Germanium buggs that generate high quality wide range Fuzz sounds. 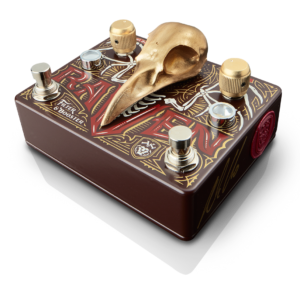 It has a very wide range, from mild overdrive to insane old fashion high gain Fuzz with authentic and organic tones. Realy inspiritional tones! 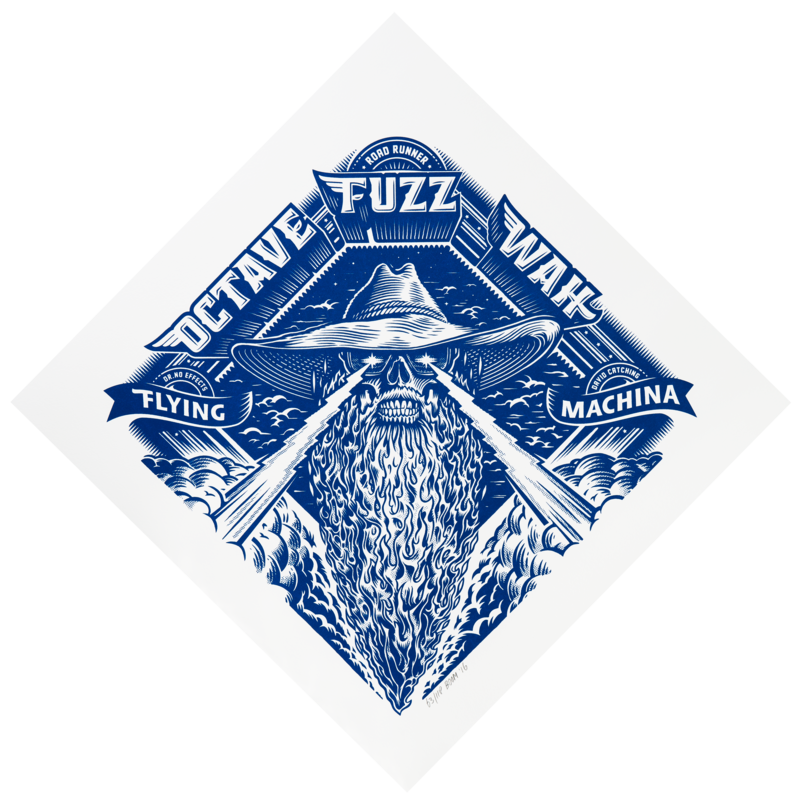 The Bad MotherFuzzer can only be build in a limited series of 132pcs because of the limited available Germanuim Transitors of high quality that are used in this creation. 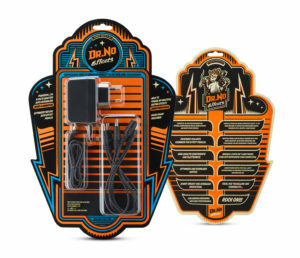 Direct sales will be rewarded with free shipping and a free Dr.No Effects PowerSupply (value €34,-) (Only EU) Outside EU will be rewarded with a free Dr.No “Analog or Die” t-shirt. Get your copy before they run out again!!! 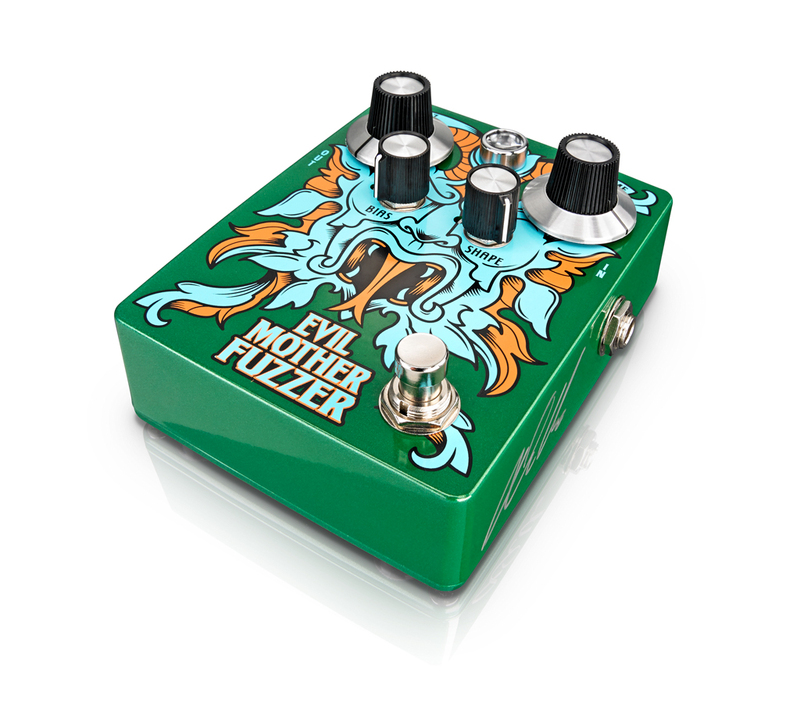 Proudly present you the “Evil MotherFuzzer”! 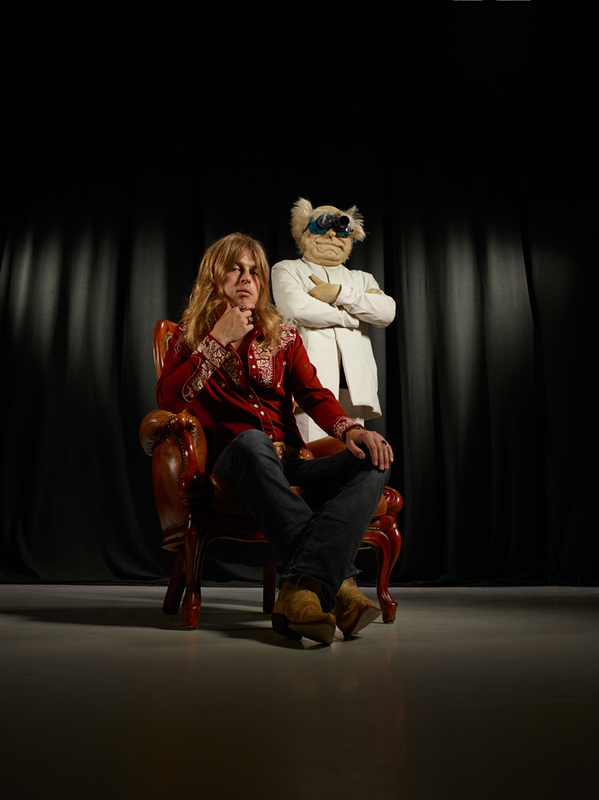 Together with Dutch guitar player Pablo van de Poel, Dr.No developed a rare beast. 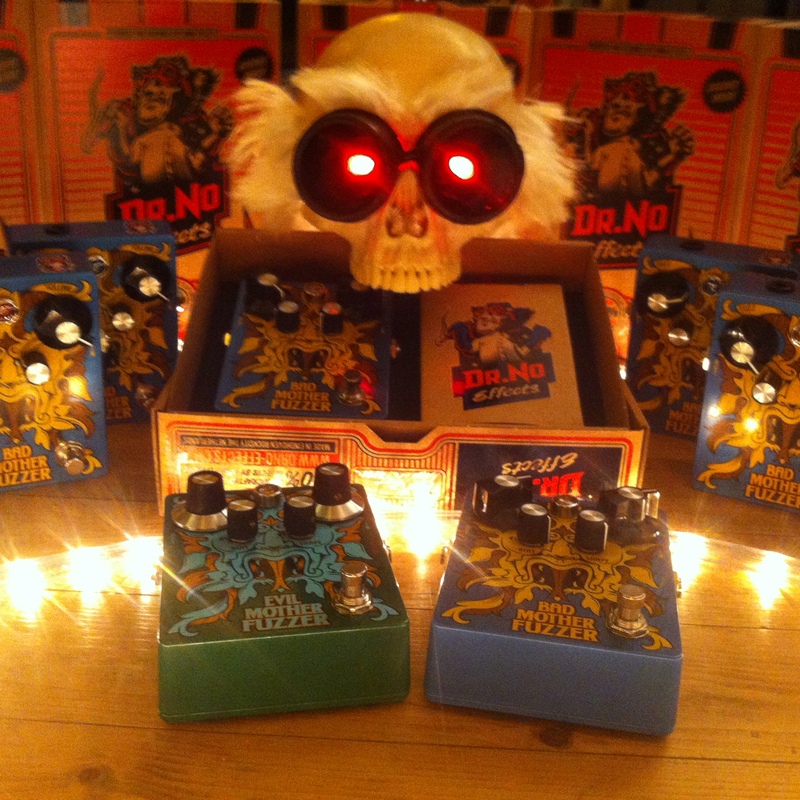 Almost two years ago Dr.No and Pablo (both Fuzz addicts) formed a pact started a collaboration with final goal, “getting you the best Fuzz of the universe”, that after many prototypes resulted in the amazing Evil Motherfuzzer. 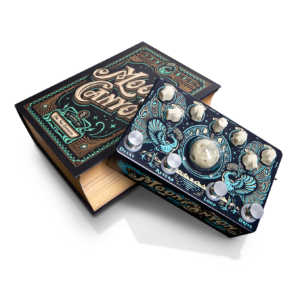 This old school classic reinvented fuzz contains two rare NOS High Gain AC128 matched pair Germanium Transistors that are collected and brought together from places all over the world (yes…even from a radio museum). The Evil Motherfuzzer has this PNP Positive ground on the main hand build circuit board, but no worries… the Evil MotherFuzzer contains a little brain that turns that around to negative ground so you don’t have to worry about daisy chaining your Germanium Fuzz with other effects in your chain that in other cases cause trouble. 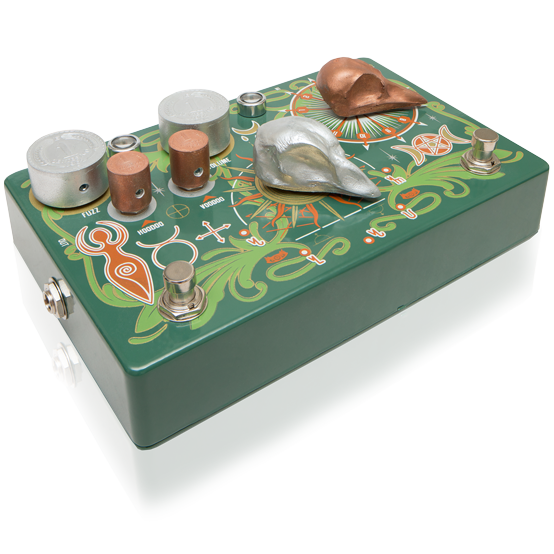 Because of the rarity of the old Germanium trannies the edition is extremely limited. Only 74 copies can be build……worldwide. 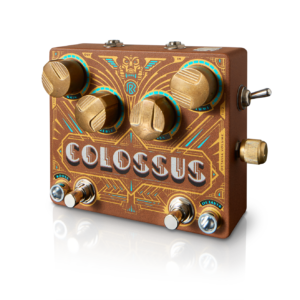 With again an amazing graphic design, and fully hand build with all selected and high end components that makes this Fuzz to become a new classic for true tone connoisseurs. 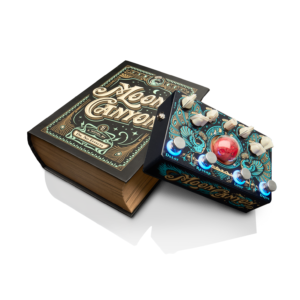 As a cool bonus the Evil MotherFuzzer is handsigned by Pablo van de Poel as well as Dr.No. *Volume: Output control level. 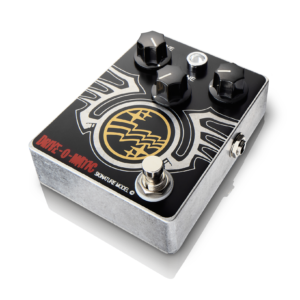 Even when the volume knob turned counter clockwise, an amazing tone and fuzz will stand out. 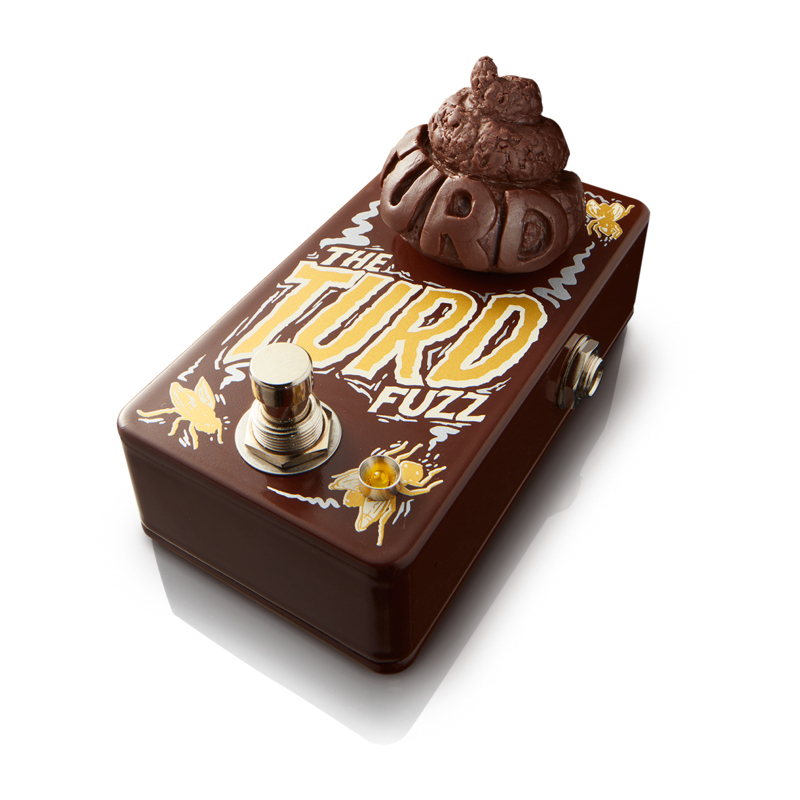 *Fuzz: The Fuzz knob controls the amount of “Evil Fuzz”. 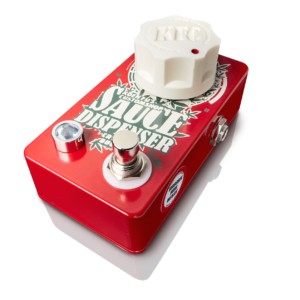 To have a cool “clean up sound”, leave your Fuzz dail knob fully open and try to lower your volume on your guitar or volume pedal. 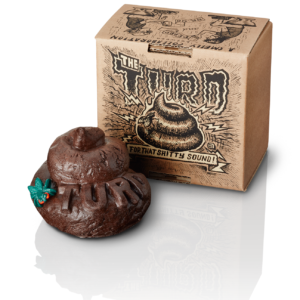 Also when lowering the Fuzz, a very organic tone will remain. 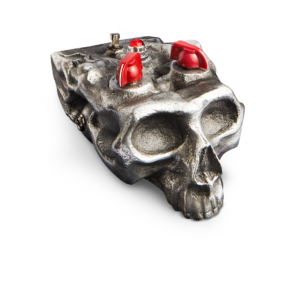 *Contour: This knob allows you to play and dial with Harmonic tone, Sustain. It also adds clarity to your midrange. 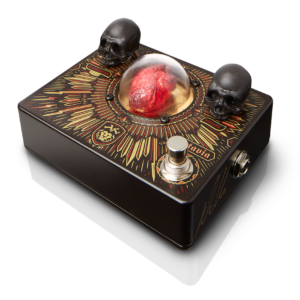 *Bias: The Bias knob gives you the opportunity to leave out the “fat”, “bass” when lowering the dial knob . 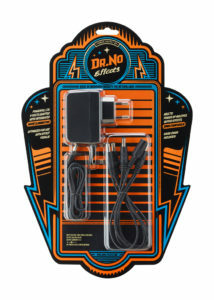 This allows you to have other effects like Wah Wah,s run through without losing them in your signal. 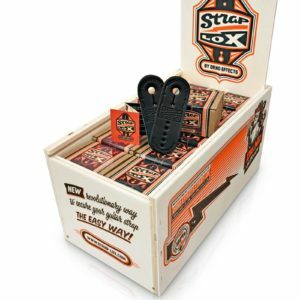 There’s a new Sheriff in town that doesn’t tollerate any more nasty Hum, Noise and Buzz on your 9volt powered Guitar Effects. Yes this high grade power supply is totally silent!!! 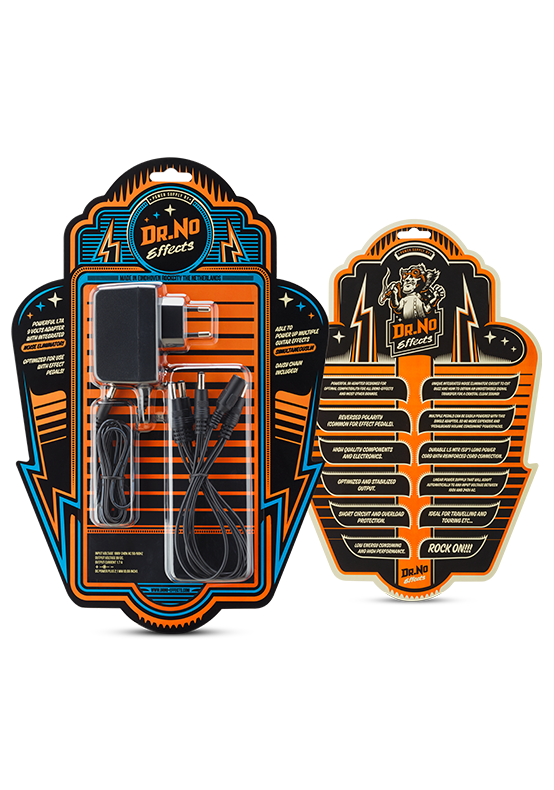 What makes it the only true silent wall plug on the market. 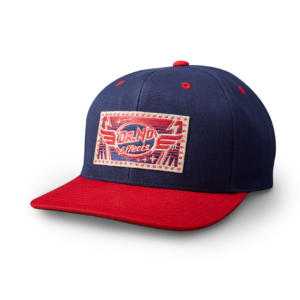 Selling price is €34,- including free daisy chain.